Everyone's favorite industry analyst, Michael Pachter, says that, rumored Wii HD upgrade not withstanding, this current console generation is gonna be with us at least four more years. In an industry newsletter (as reported by Edge), Pachter wrote "We do not expect the ‘next' generation to begin before 2013, if at all." The "if at all" is really curious. But considering that's about four years away, by then who knows what will be playing, delivering or hosting our games. Or he could be imagining a future so ravaged by swine flu and economic hardship that we're all back to rolling hoops with a stick for our entertainment. Could The Future of Gaming Be Console Free? 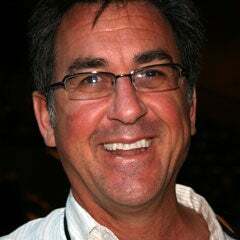 More definitively, Pachter said "no 'new' console(s) in 2010," which anyone could tell you, but to some investors it might not be so obvious. But he adds "other than the long-rumored high definition Wii, which is likely to upgrade the Wii to current console technology." That he does expect by the end of next year. The chief force against premature next gen-eration would be game publishers, Pachter says. They "have as yet to capitalize on the immense investments made in being competitive in the current cycle," and so would resist a new console generation, with new software and development demands. "We therefore think it is likely that the ‘next' generation will begin after 2013, meaning that software sales are likely to grow by a compounded annual rate of 6–10 percent for another five years," he concludes.